Hair bows, hair bows, everywhere! That’s usually the way it goes when you have a little girl. 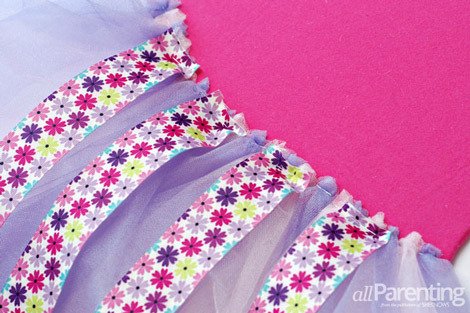 Keep those cute hair accessories organized and on display with a DIY tutu hair bow holder! Keeping track of all those pretty little hair bows is almost as difficult as keeping track of baby socks. 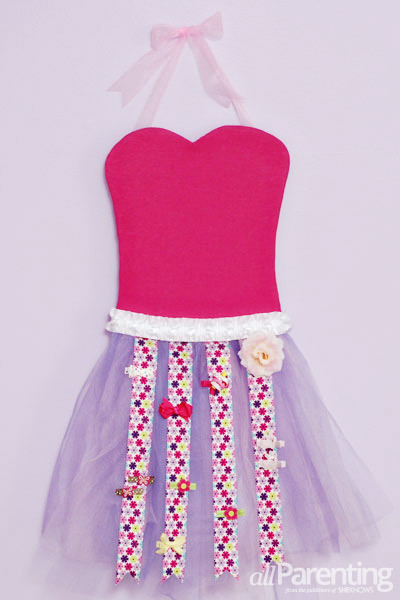 If you are tired of searching for that perfect hair bow every morning, try making this adorable tutu hair bow holder that you and your little one will love to use! 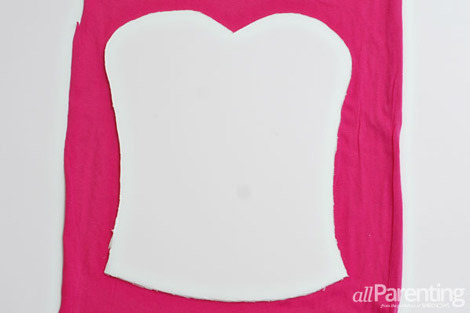 Draw and cut out the bodice shape from the foam board. Mine was approximately 10-inches wide and 12-inches tall. Foam board is a challenge to cut, so the edges may look a little rough. Don't worry, it won't be noticeable in the final product. 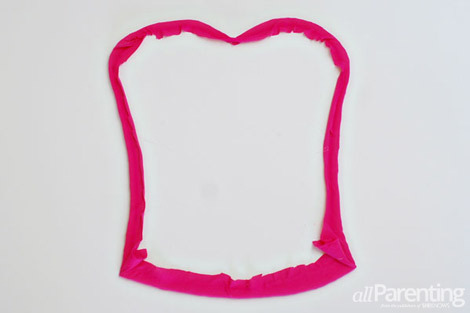 Cut the stretch knit fabric to be a couple inches wider than the foam board on all sides. 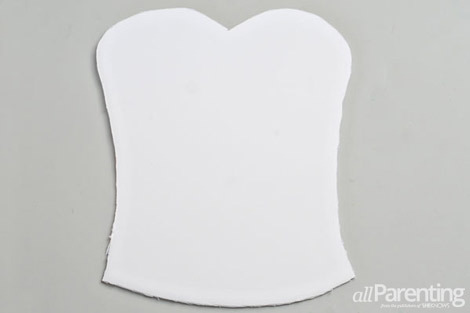 Stretch the fabric over the edges of the foam board and hot glue it in place on the back side of the board. Be sure to stretch the fabric as you go to avoid any wrinkles or creases on the front side. 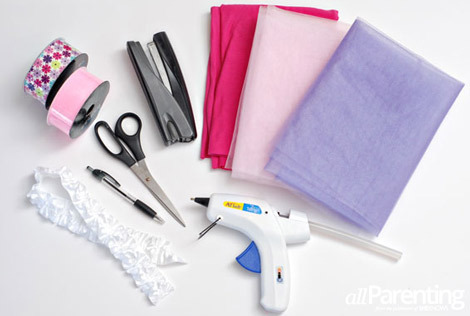 After the glue dries, trim off any excess fabric. 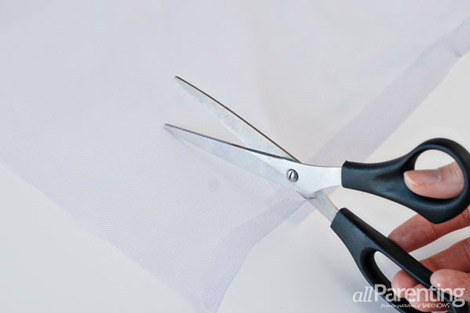 Cut the tulle into strips that are 5-inches wide and 30-inches long. 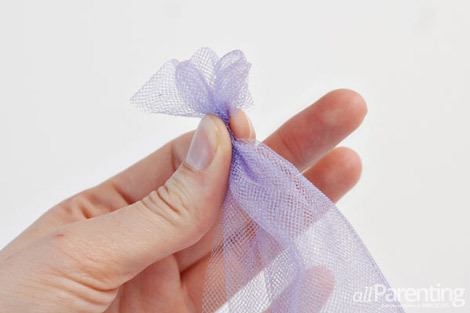 Fold the tulle in half crosswise, and then gather the tulle together at the crease. 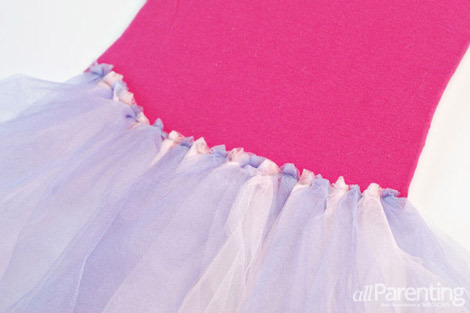 Staple the tulle to the front of the bodice. 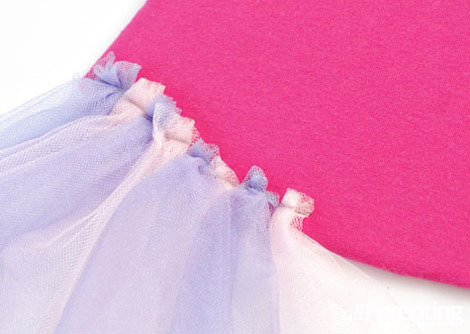 Keep stapling tulle to the bodice, alternating colors as you go. Keep adding tulle until it goes all the way across the bottom of the bodice. 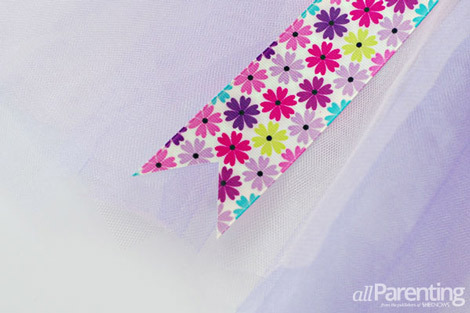 Staple the end of the patterned ribbon to the tulle. 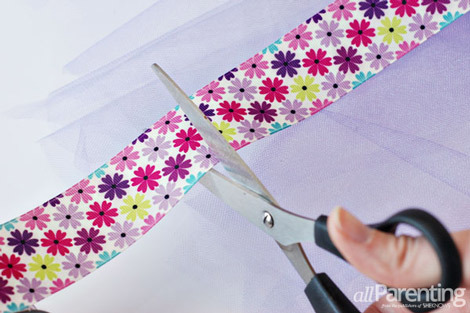 Cut the patterned ribbon so that it is the same length as the tulle. 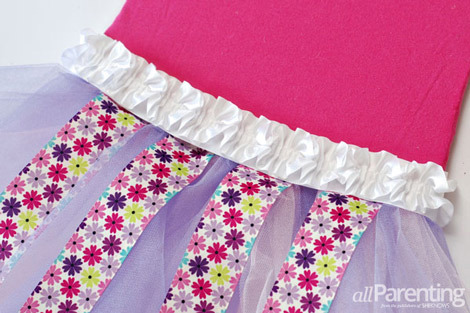 Add three more strips of patterned ribbon, evenly spacing them across the board. 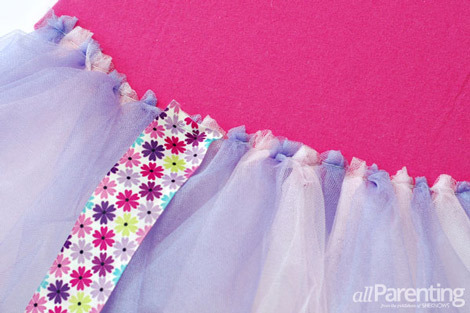 Cut a notch in the bottom of each piece of patterned ribbon. This will help keep the ribbon from fraying. Hot glue the decorative trim across the skirt so that it covers the staples. Wrap the ends of the trim around the back of the foam board and glue the ends to the board. Cut two lengths of the sheer ribbon that are each 2-feet long. Glue one end of each ribbon to the back of the foam board near the top. 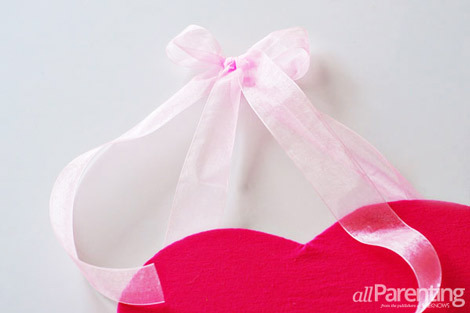 Let the glue dry completely, then flip the board over and tie the ribbon in a bow. Trim off any excess ribbon. 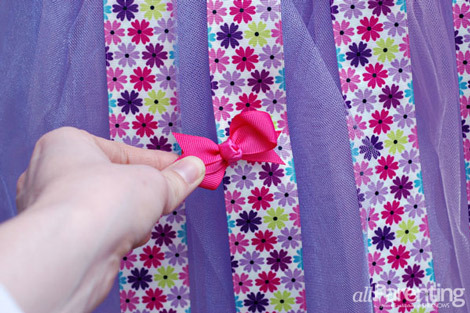 Hang the tutu hair bow holder on the wall, then clip hair bows to the patterned ribbon for cute hair bow storage!